Blueberries owe their deep hue to anthocyanins, a class of powerful antioxidants that are blue-violet in color. Supplement manufacturers have started isolating these healthy components to produce blueberry extract, giving you the benefits without the berry. Before you decide to include blueberry extract as part of your diet, it is important to review the potential side effects of this seemingly innocent supplement. When you look for a blueberry extract supplement, be aware that oftentimes manufacturers add herbal supplements to provide extra benefits. It is important to research and ask your doctor about the effects of these as well. If you are allergic to ragweed or daisies, you should avoid one type of blueberry supplements, Berry Vision with Blueberry and Eyebright. This supplement also contains marigold and grapeseed, so it can be dangerous if you have certain floral allergies. In general, herbal products that have the same effects or the opposite effect of a medication you are taking should be avoided. Along with added herbals, some blueberry and cranberry extract brands also contain additional vitamin C. While vitamin C is a water-soluble vitamin, meaning it is not stored in the body, taking too much from various supplemental products may have a negative impact on your health. In 2004, the Iowa Women's Health Study suggested that high doses of supplemental vitamin C may create oxidative stress and increase your risk for lung cancer development. If you already take a multivitamin, it is safer to avoid double dosing on vitamin C from your blueberry supplement as well. Instead of a pill, you can opt for 100-percent blueberry concentrate, which is less likely to have added vitamins and herbals. As with most things, more is not always better. When found in nature, blueberries have a high water and fiber content. These qualities dilute and buffer the absorption of blueberry antioxidants, vitamins and minerals. It is important to keep in mind that blueberry extract is a very concentrated form of these substances, and dosage recommendations have limited testing behind them. It is safer to err on the low side to avoid negative effects. If you decide to start taking blueberry extract, try half the recommended dose at first to see how your body responds. When taken at suggested dosages, it appears that blueberry supplements are safe for most heathy individuals. 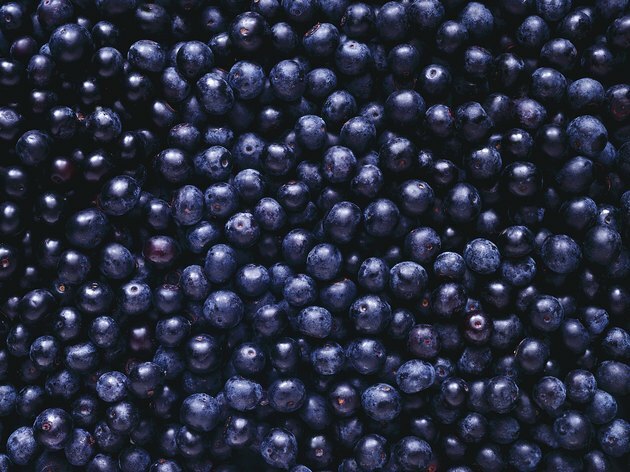 If you have diabetes, blueberry supplements may cause your blood sugar to drop. Always discuss your decision to start a supplement with your doctor. Blueberry supplements are not intended for pregnant or nursing women or children under the age of 18. Check the label for additional substances that may have been added to the product, and be aware of possible interactions with your current medications.